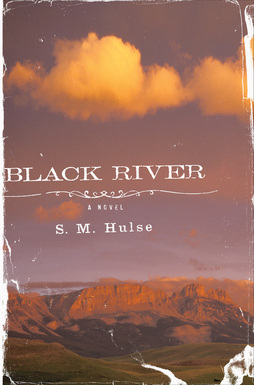 Beneath the surface of Black River, the taut debut by S.M. Hulse, flows the grey enigma of ultimate justice. The narrative forces the reader to ask: Does a recidivist criminal capable of torture, yet claiming to have found Jesus, deserve parole? Or would such redemption be an injustice to the man he brutalized decades earlier? By the time former prison guard Wes Carver confronts the inmate who tortured him—slowly, finger-by-finger (“Williams didn’t just snap. He twisted”) during a prison riot—we’re burning to learn the fate in store for both men. The scars of two past events propel the present drama. Foremost is the prison riot, a life-altering episode for the musically gifted Carver, whose ruined fingers will never again play his father’s hand-crafted fiddle. Second, the broken relationship between Carver and his stepson. Carver hasn’t forgiven Dennis for a multitude of sins, including the night when Dennis threatened him with a loaded pistol. Ever guilty in Carver’s eyes as the illegitimate spawn of the man who raped Carver’s wife, Dennis remains, “the face Wes had searched for so many years, looked for in the features of every inmate on his tier.” The devout—but doubting—Carver is all too aware of his inability to exonerate Dennis from the sins of his father.